Pioneers in the industry, we offer monorail suspended platform, parapet mounted bmu, window cleaning system, buliding maintenance system, facade cleaning system and davit poll system from India. 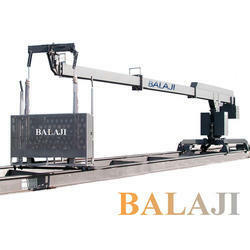 We are one of the leading manufacturers, exporters suppliers of Suspended Platform. The Monorail Suspended Platform is a structure which is used for carrying loads, at the construction and maintenance sites. Our supplied suspended platform is made from grade steel alloy, to ensure long lasting service and durability. 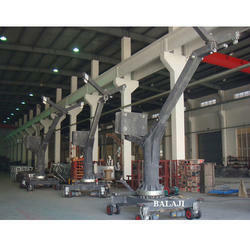 The manufactured suspended platform is powered by system, for facilitating the lifting operations. 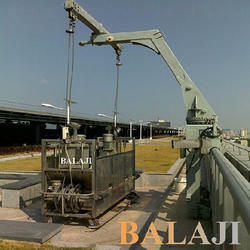 We are the manufacturer of Parapet Mounted BMU. We feel proud to introduce ourselves as one of the well-known manufacturers, exporters and suppliers of Window Cleaning System. 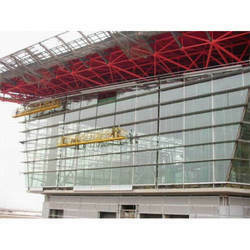 The offered façade cleaning platform is very widely used for carrying out the cleaning operations in commercial towers and multi floor apartments. Our supplied façade cleaning platform is available at very cost effective and economic market rates. 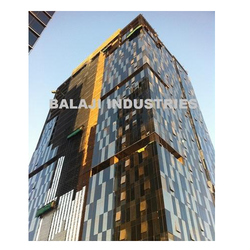 We provide Construction Maintenance System. 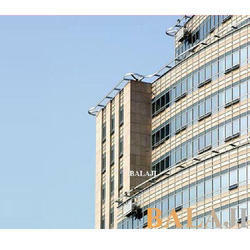 It is very widely used for the maintenance and repair of high rise buildings. It has user friendly design and light weight construct, which ensure smooth operation of construction and maintenance activities. Being a well-established organization, we are offering a qualitative range of Facade Cleaning Platform. Immensely popular in the market, the offered product is manufactured using best quality components and advanced technology. The offered range is rigorously tested on various parameters ensuring its quality and functionality. 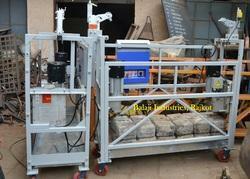 This range can be availed from us in different technical specifications to meet the requirements of different clients. We are offering these products at best market price. We provide service through Davit Poll System. We are one of the well-known service provider of Building Maintenance System. The offered services is very commonly used for the plastering and painting of building walls. 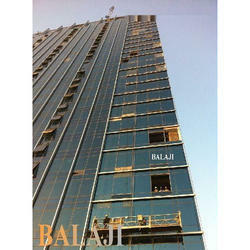 Our services is very much appreciated for light weight design and facilitation of aerial work in high rise buildings. Building Facade System provides a full line of pre-engineered solutions for window washing, exterior building maintenance & fall protection. Versatility with design allows our products to be utilised with any architectural, structural or building envelope. We provide Machine of Glass Fitting System.